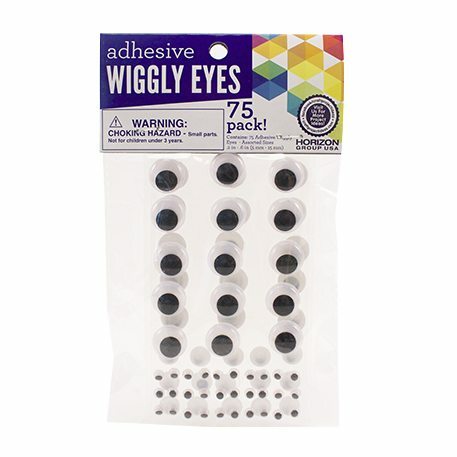 Bring your creations to life with Wiggly Eyes! Add Wiggly Eyes to puppets, dolls, and fuzzy pom creatures to give them an animated personality! No glue necessary! Just peel the adhesive backing and apply to your project. Package contains 75 pieces. Available at Walmart.